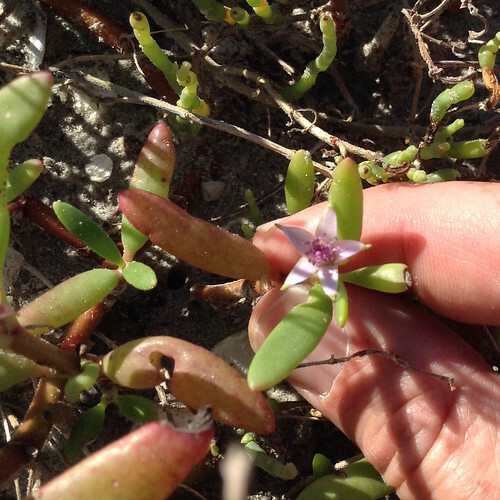 Close-up of Sea Purslane flower. Creeping along coastal sand dunes, Sea Purslane is often responsible for the creation of these dunes in the first place. The thick, succulent stems and leaves look like a somewhat over-sized version of the Purslane (Portulaca oleracea) you find growing out of sidewalk cracks in the hottest part of the summer. The two are related which is evident in both their shapes and their ability to handle extreme environments. 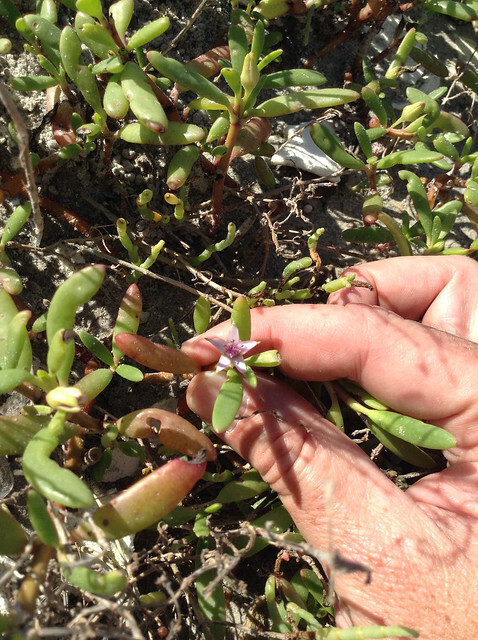 Sea Purslane seems to thrive in the sun-baked, salty, coastal sand. 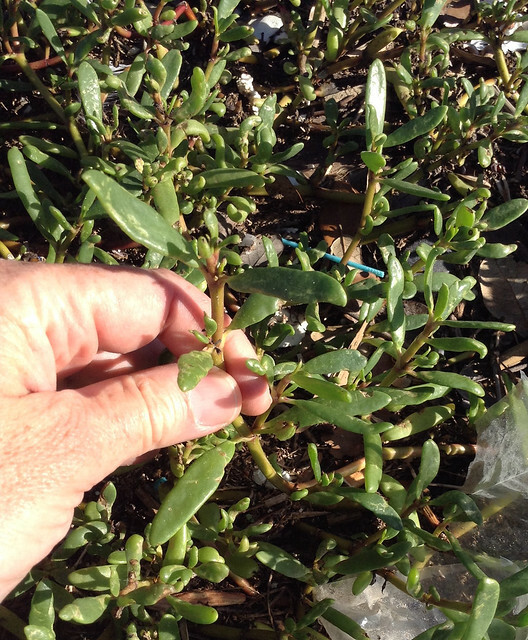 All above-ground parts of Sea Purslane are edible. Raw, they are a delicious though somewhat salty snack. 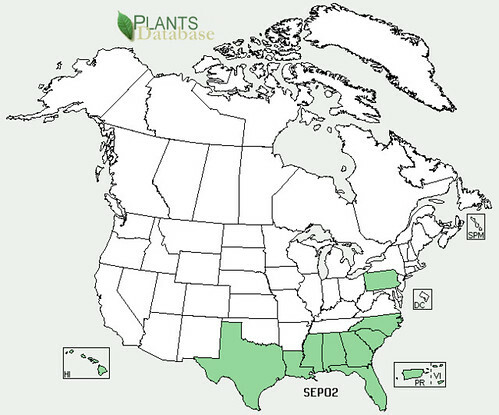 If too salty, boiling the plant in 1-2 changes of water removes most of the salt, leaving behind a basic "boiled green" which can be used in any manner such as soups, stews, or any other way one uses a cooked green. They are great in salads or to add salt to any dish. Be sure the sand is clean and uncontaminated. According to Green Deane, Sea Purslane contains the natural steroid ecdysterone which supposedly helps improve athletic performance. However, scientific testing did not shown any increase in ability by test subjects taking ecdysterone. J Int Soc Sports Nutr. 2006; 3(2): 19–27.